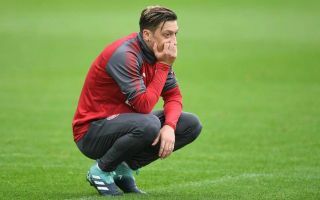 Mesut Ozil has posted a photo of himself training on Instagram amid his struggles getting into the Arsenal team under Unai Emery. The German playmaker has been surprisingly frozen out at the Emirates Stadium in recent times, with Emery often not even naming him on the bench at times this season. Taking to social media today, Ozil showed he’s putting in the work ‘no matter what’, suggesting all is not well with him at Arsenal, but he’s still doing what he has to do.